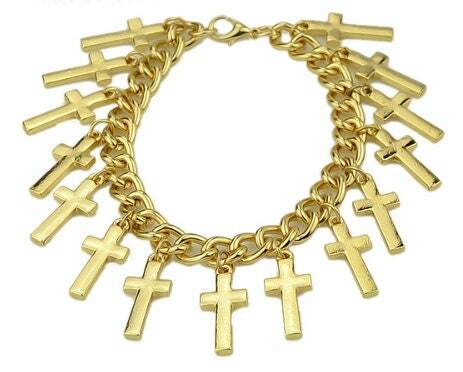 Fashion Multi Cross Bracelet are over the top elegant. 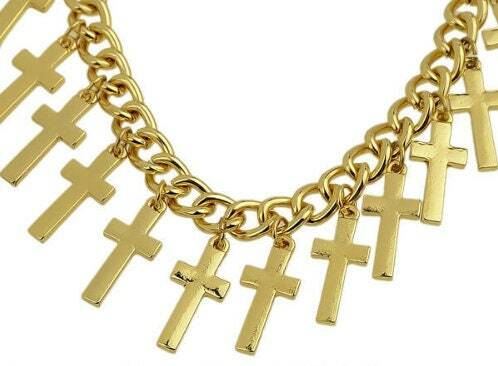 Nice heavy chain with 15 crosses and a positive locking lobster claw clasp. 8" Bracelet. Gold plating over copper. Make a fashion-faith statement with these spectacular stand out Golden dazzlers. A Saint Michaels Jewelry Exclusive.